If you are looking for a way to shake up your garden colors a bit, consider adding silver plants this year. We found five great silver plants: some we have adored for years and others we can’t wait to try. 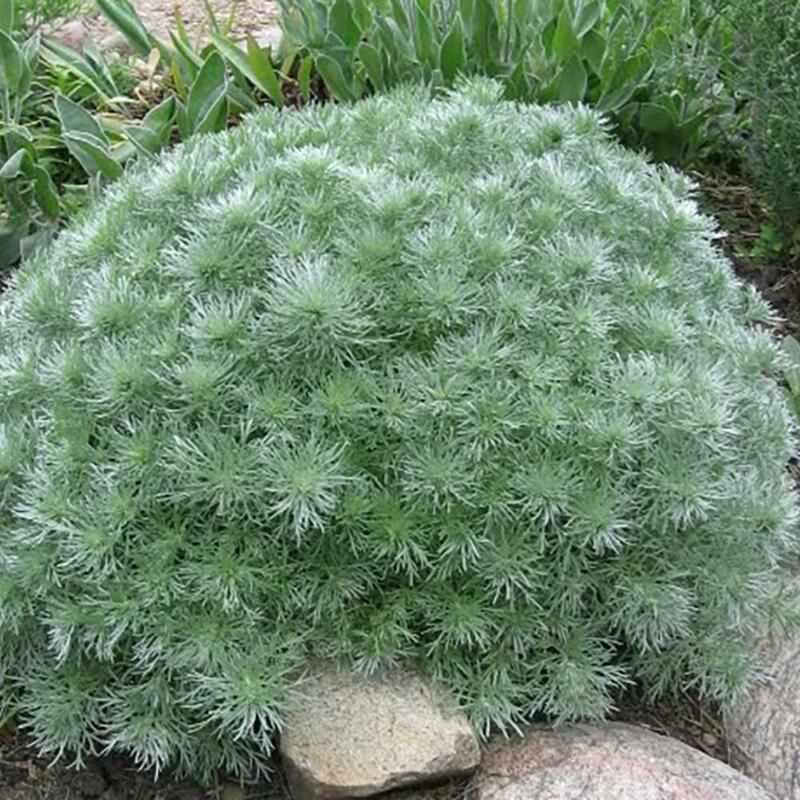 Artemisia: (above) I grew this many years ago in Wisconsin and since then it slipped off my radar. What a shame! The light, feathery silver foliage is ideally suited for sunny, dry spots in the garden. And it’s deer resistant. I would love to see this tucked within a rock garden or planted with yuccas for an great contrast in color, texture and form. Brunnera: Anyone who has been shade gardening for a few years has stumbled upon this plant. Desires part shade and moist soil. This plant is deer and rabbit resistant and has tiny blue flowers, often mistaken for forget-me-nots. 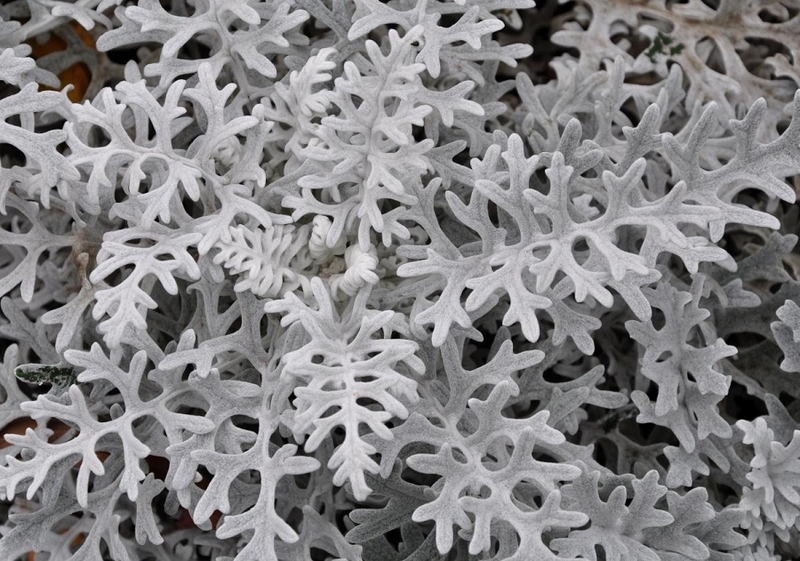 Dusty Miller: A great annual plant for the part sun to full sun spots. It will tolerate shade, but the leaves’ color looks best with more sun. 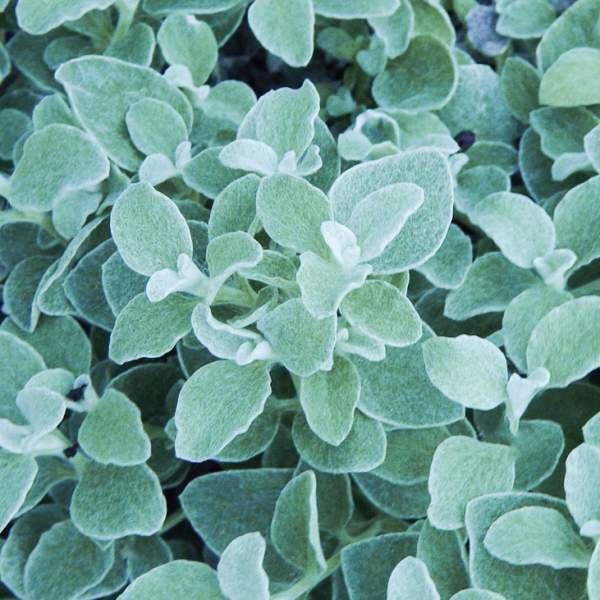 The foliages’ texture is much like a lamb's’ ear, but with a completely different shape. Dusty miller is deeply lobed. Wouldn't this look great with zinnias and moonbeam coreopsis? I think so! Licorice plant (Helichrysum petiolare) is a very desirable container plant for its velvety leave emerge along trailing stems. Best in more sun than not, and in well draining soil. 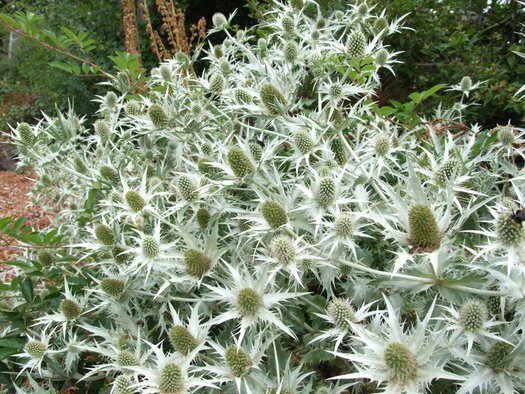 Sea Holly Eryngium giganteum ‘Silver Ghost’: This spikey, prickly plant loves the full sun and sharply draining soil. I’ve been growing this perennial for several years and it never disappoints. About 2-3 feet in height, the silver plant has steel blue flowers in the summer, making it, yet again, a rather interesting plant to view.